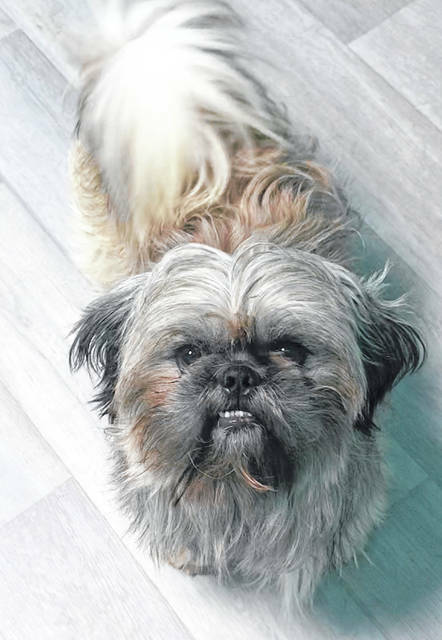 Pierre, age 5, is a Pekingese mix eager for a home of his own. Pay him a visit at the Champaign County Animal Welfare League. Fall, a 9-month-old female kitty, is waiting to be adopted at PAWS Animal Shelter. Bella Rie, a year-old Collie Hound mix, is biding her time at Barely Used Pets until the perfect person(s) visits and decides to make her part of the family. Bella Rie is a year-old Collie Hound mix. She is house-trained, good with other dogs large and small and walks well on a leash. She was found as a stray by a wonderful couple who nursed her back to health, but were not allowed to permanently keep her. She does have some night blindness. She has been spayed, is up to date on vaccinations and flea and worm treatment. Her adoption fee is $150. Please meet Fall, a 9-month-old female domestic short-hair cat with beautiful green eyes. She’s very friendly and loves to be petted. She is a little selective with her feline friends. She likes them as long as they keep their distance from her. She is spayed and up to date on all of her vaccinations, and she tested negative for feline leukemia. 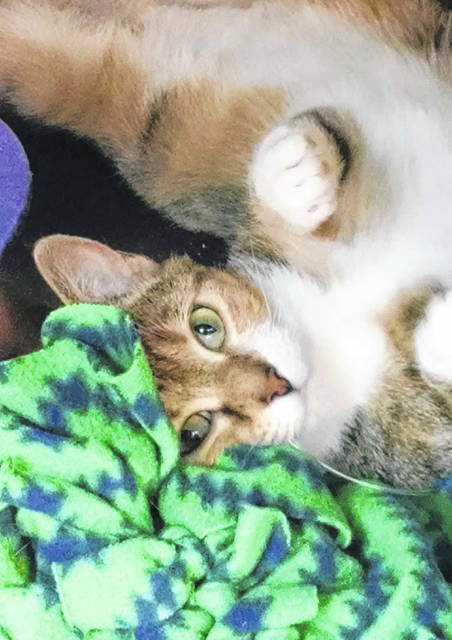 The pet of the week at the Champaign County Animal Welfare League (CCAWL) is Pierre. He is a 5-year-old Pekingese mix who weighs 20 pounds. Pierre is a puppy mill rescue, but is very friendly and social. He has a fun personality, is upbeat, loving and outgoing. Pierre is still learning how to walk on a leash, but he is getting the hang of it day by day. He loves other dogs and seems indifferent to cats. Pierre isn’t housebroken, but with patience and a consistent routine, he will get the hang of it. He is neutered, microchipped and current on all vaccinations: Bivalent Flu, Bordetella, Da2PPL, and Rabies. Pierre has been dewormed and heartworm tested negative. He is current on flea, tick, heartworm prevention and has had a dental cleaning. Adoption applications are required and must be approved. You may find the application on our webpage – www.champaigncoanimalwelfareleague.com – or stop by our facility, 3858 state Route 56, Mechanicsburg, OH 43044. Hours are Tuesday and Saturday noon to 2 p.m., Wednesday through Friday noon to 6 p.m. (All adoptions stop at 5:30 p.m.) For more information, please call 937-834-5236. Memberships are available that will allow you to have access to our 72-acre campus. You’ll be able to use the agility course, indoor/outdoor dog park, grooming facility and trails. An individual membership is $100 for the year and a family membership is $150 a year. The Mixins & Fixins restaurant in Mechanicsburg has a 1st Thursday of every month Beef & Noodle Dinner with 50 percent of all proceeds going to CCAWL Please be sure to thank restaurants for their support. Doggy Day Wash is Saturday, Oct. 27, from noon to 3 p.m. Donations of $10 for short-coated dogs, $20 for long-coated dogs will be accepted. Art & Craft Fair is Saturday, Nov. 3, from 1 to 4 p.m. Free admission. CCAWL will be doing a low cost vaccination clinic on Saturday, Nov. 10, from 10 a.m. to 2 p.m. for cats and dogs. Cash, credit or debit only. No appointments needed. For more information about this event, please contact us at 937-834-5236.
https://www.urbanacitizen.com/wp-content/uploads/sites/36/2018/10/web1_LeagueDog-1.jpegPierre, age 5, is a Pekingese mix eager for a home of his own. Pay him a visit at the Champaign County Animal Welfare League. https://www.urbanacitizen.com/wp-content/uploads/sites/36/2018/10/web1_PawsCat-1.jpgFall, a 9-month-old female kitty, is waiting to be adopted at PAWS Animal Shelter. 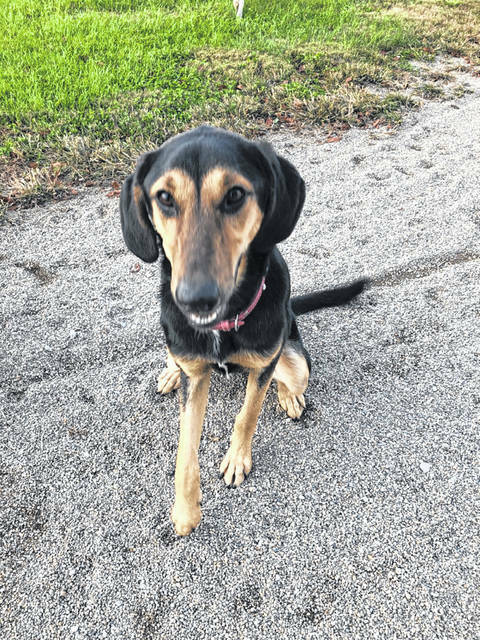 https://www.urbanacitizen.com/wp-content/uploads/sites/36/2018/10/web1_BarelyDog.jpegBella Rie, a year-old Collie Hound mix, is biding her time at Barely Used Pets until the perfect person(s) visits and decides to make her part of the family.